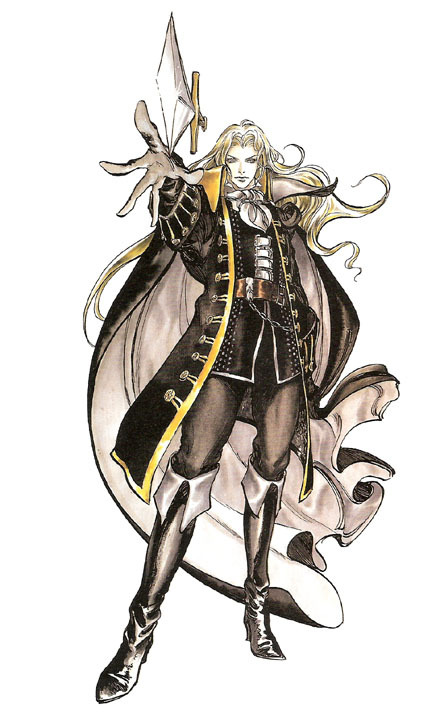 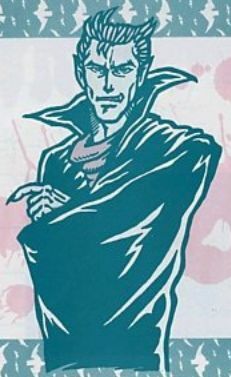 Alucard is the son of Dracula in the Castlevania series and made his debut in Castlevania III: Dracula’s Curse back in 1989 on the NES as a playable character already. 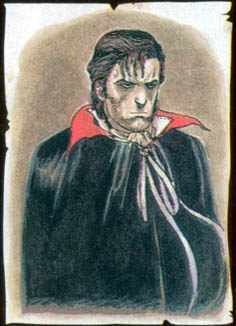 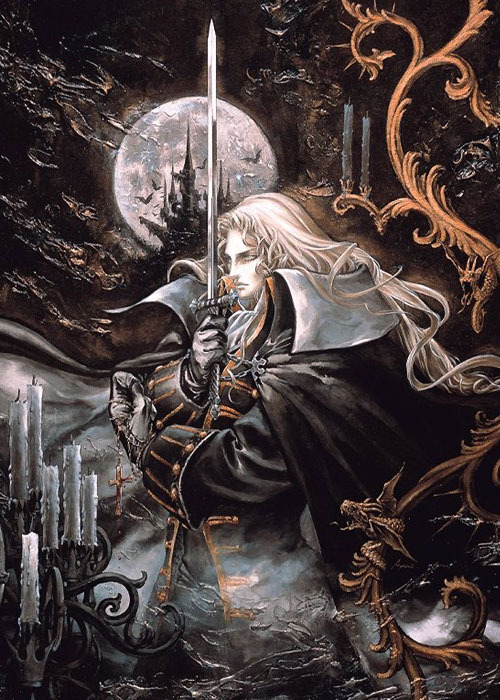 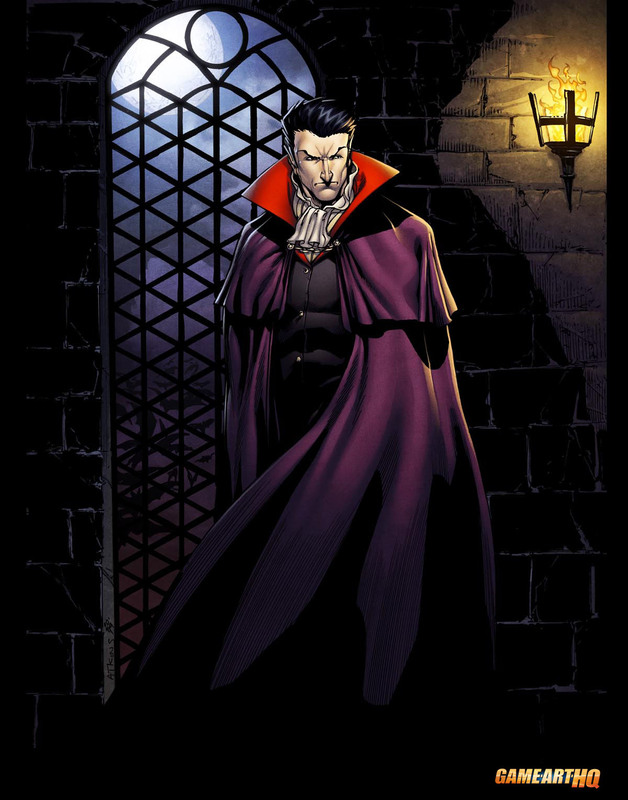 He looked a lot more like Dracula and a typical vampire than when he returned as the main protagonist of the awesome and high praised Castlevania: Symphony of the Night in 1997 on the Playstation (later Saturn). 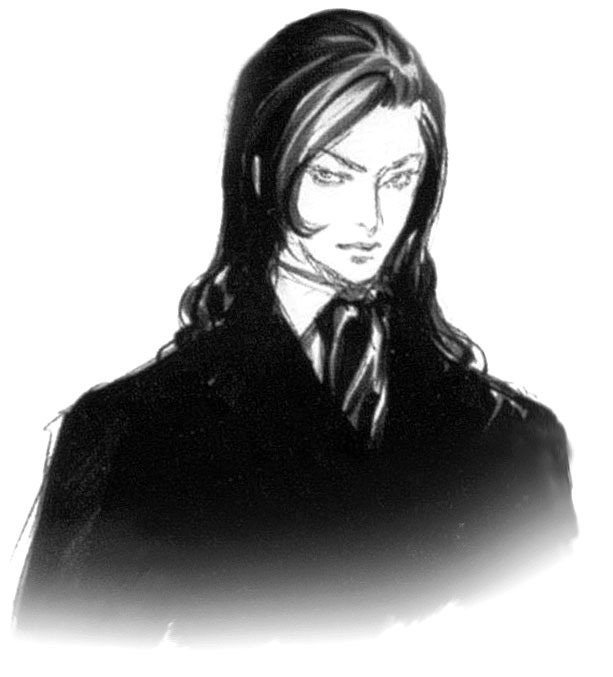 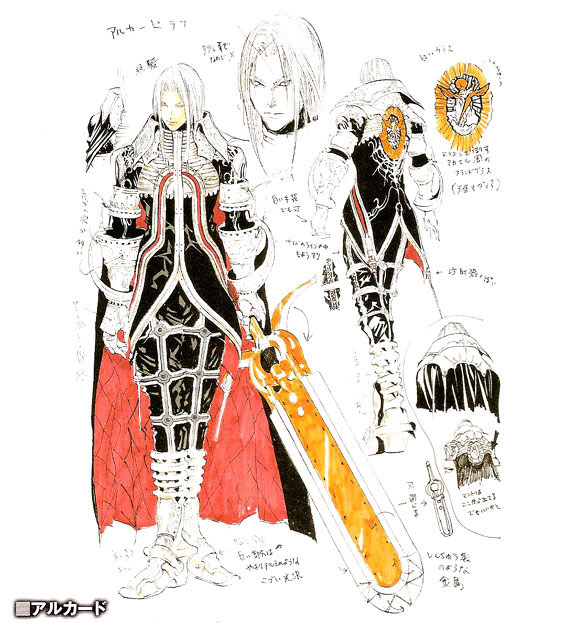 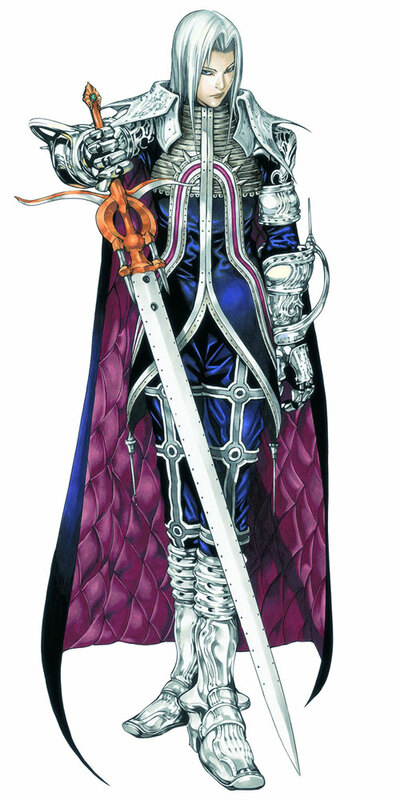 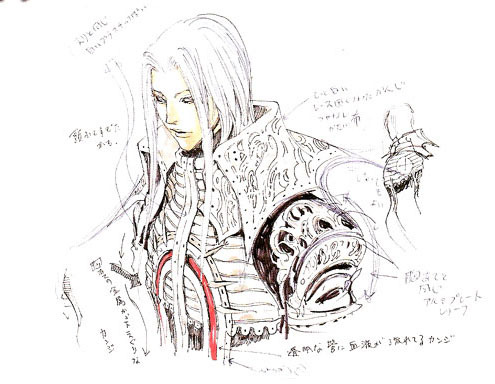 His visual design was again changed when he returned with black hair in the handheld Castlevania’s Aria of Sorrow and Dawn of Sorrow. 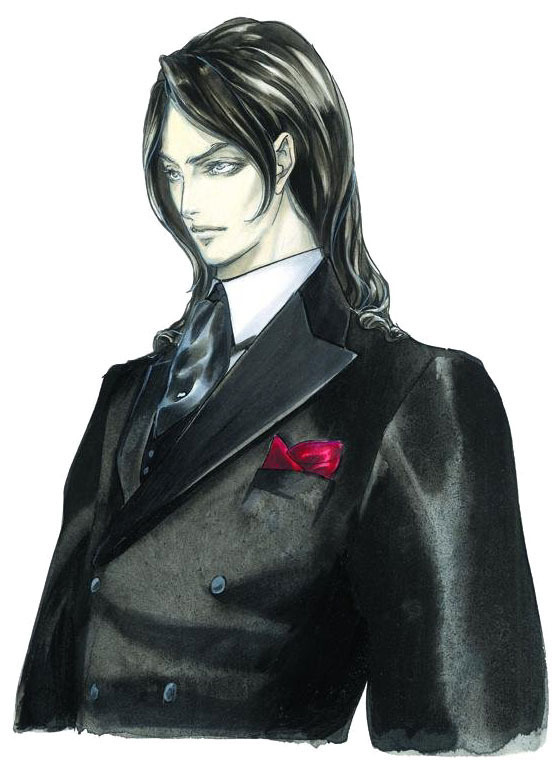 He is not a playable character in the games and uses the name Genya Arikado there (lol). 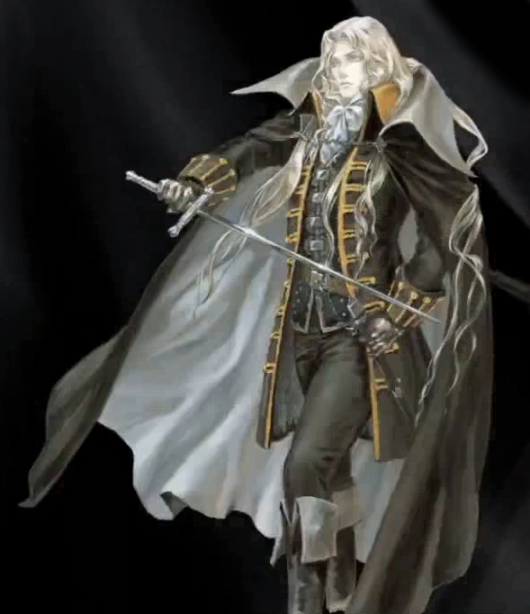 In Castlevania Harmony of Despair and also Castlevania: Mirror of Fate he returned with an only slighty changed Castlevania SOTN look, in Castlevania Lords of Shadows 2 he seems to be a bit changed with a darker look. 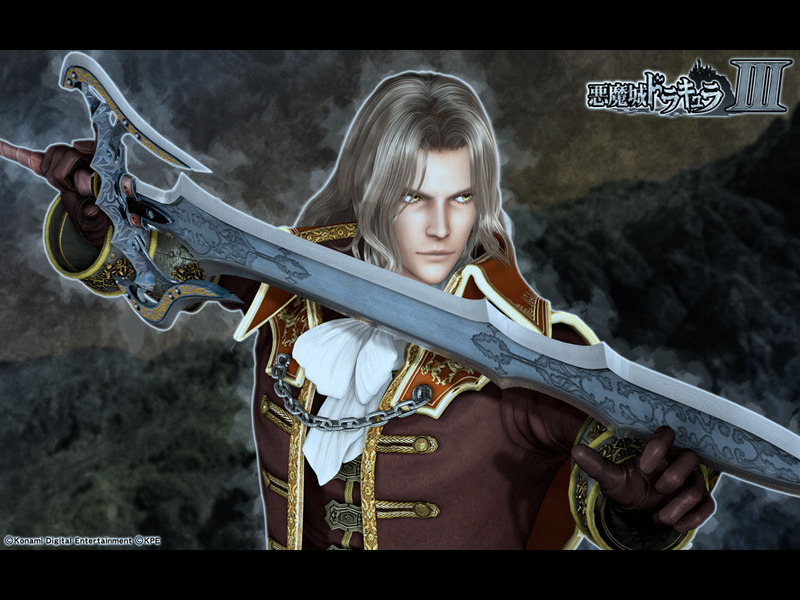 It is unclear so far if we will be able to play as him. 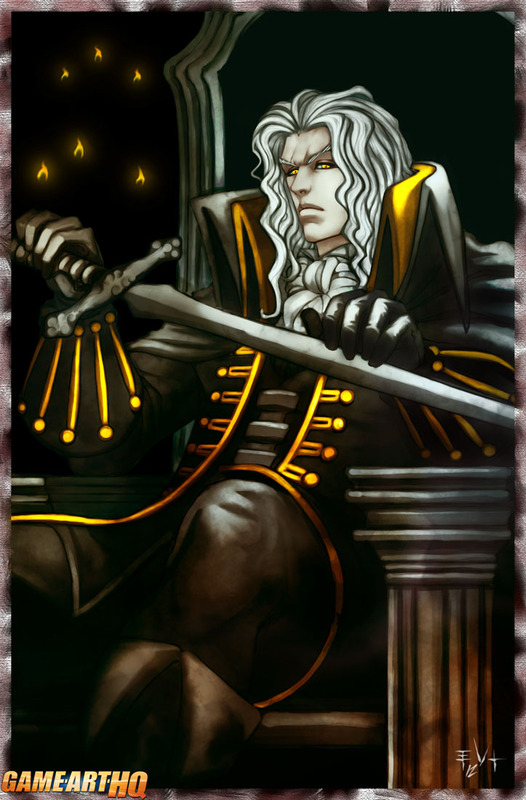 He had a slightly different look in the fighting game Castlevania Judgment in 2008 on the Nintendo Wii. 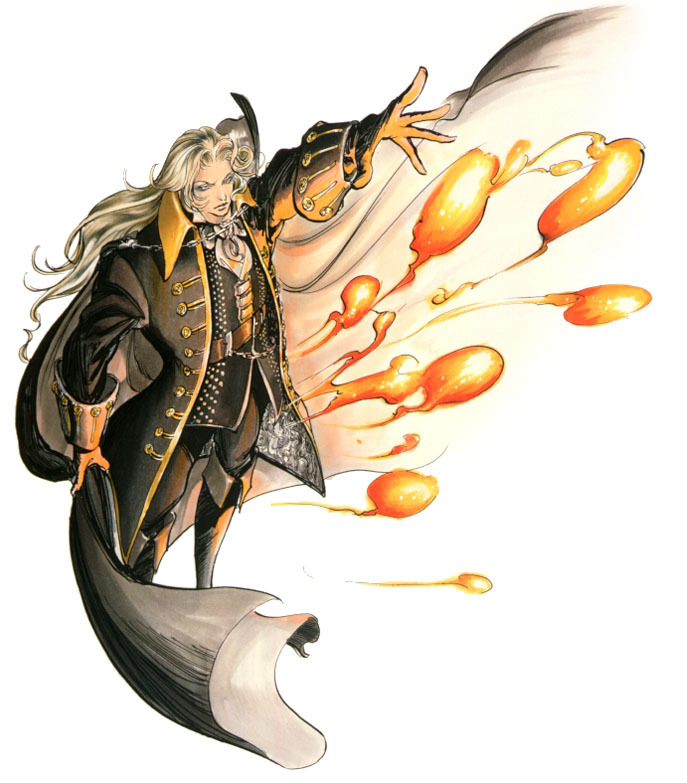 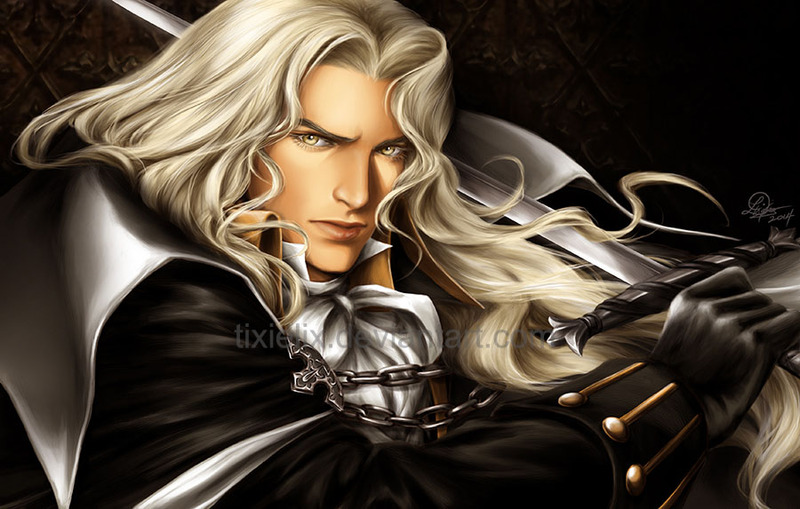 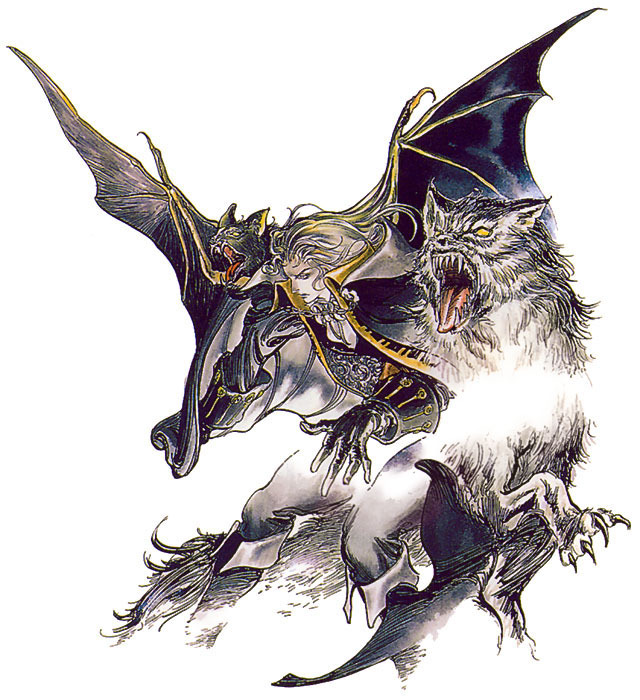 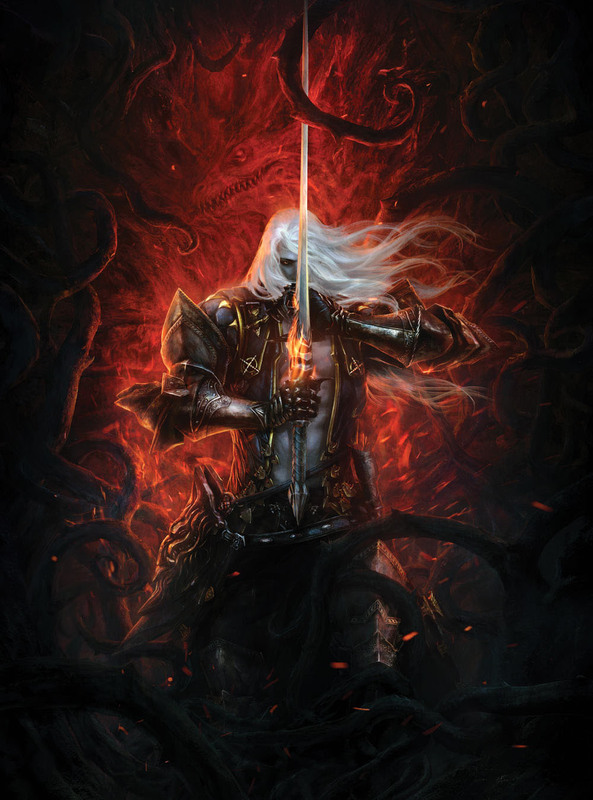 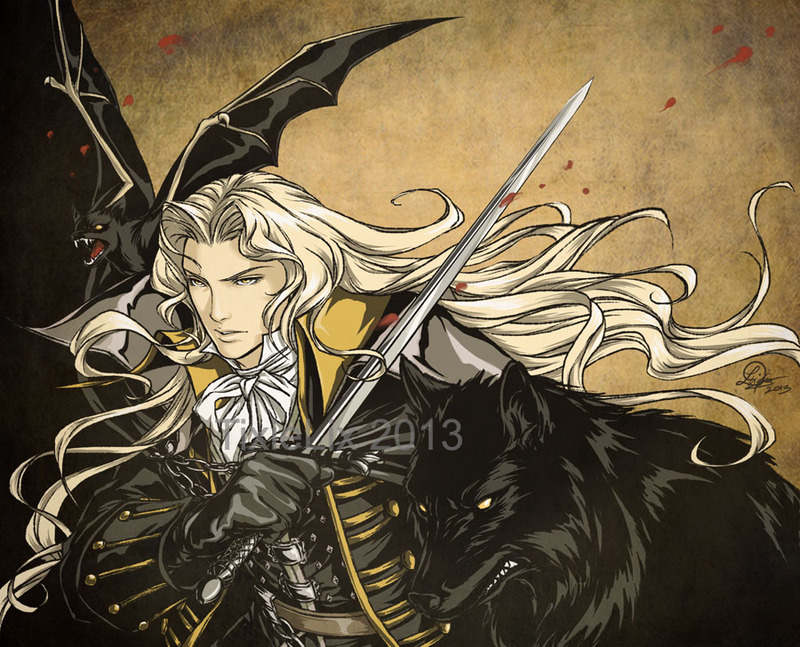 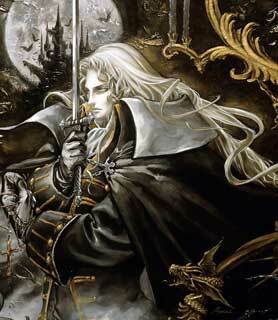 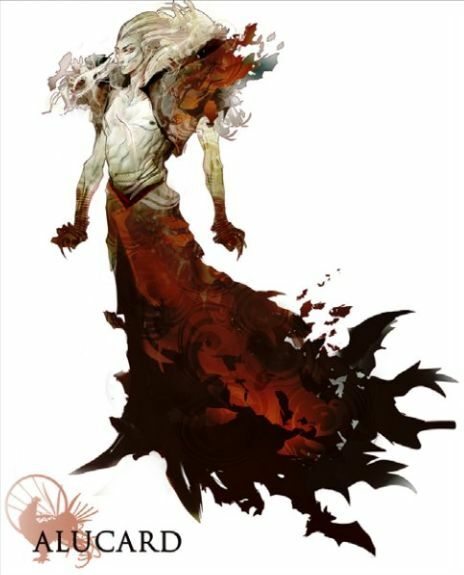 Alucard is quite a badass with a lot of unique abilities ranging from the typical vampire powers like transforming into a Bat or a Wulf and even Mist to be able to summon Familiars and having a lot of cool special powers like the Soul-Stealer. 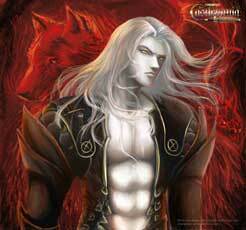 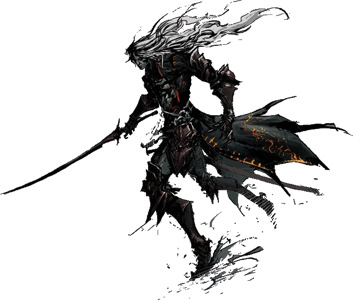 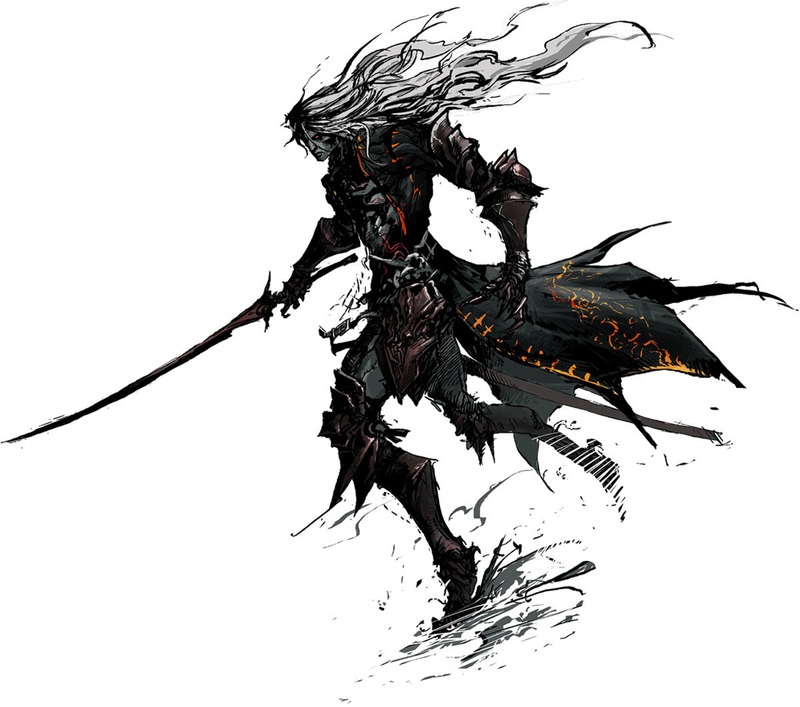 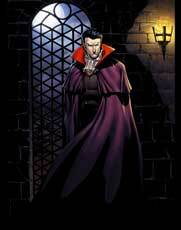 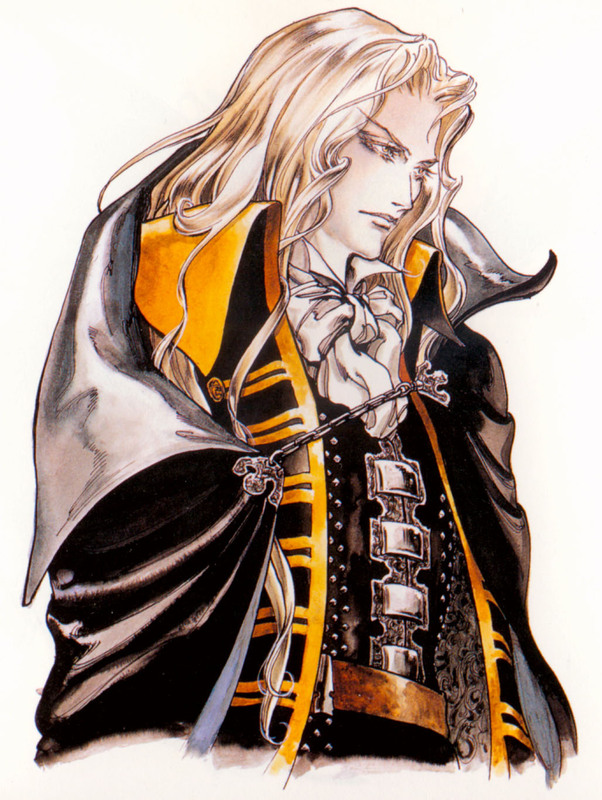 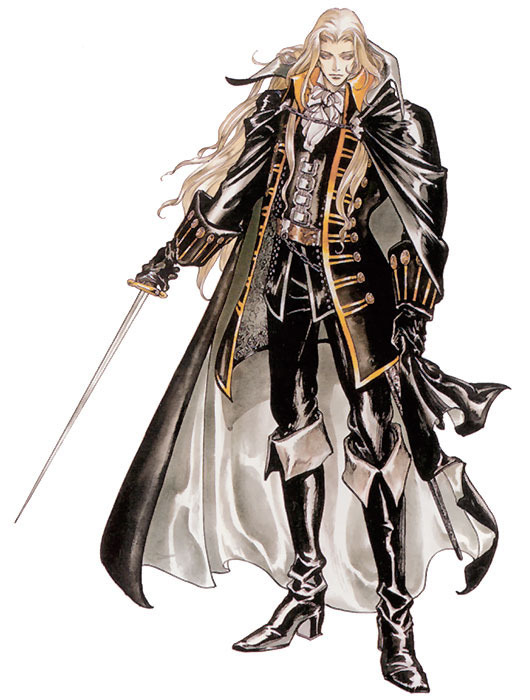 All in all a damn cool character and i hope he will be back in Castlevania V..if Konami will ever make that one. 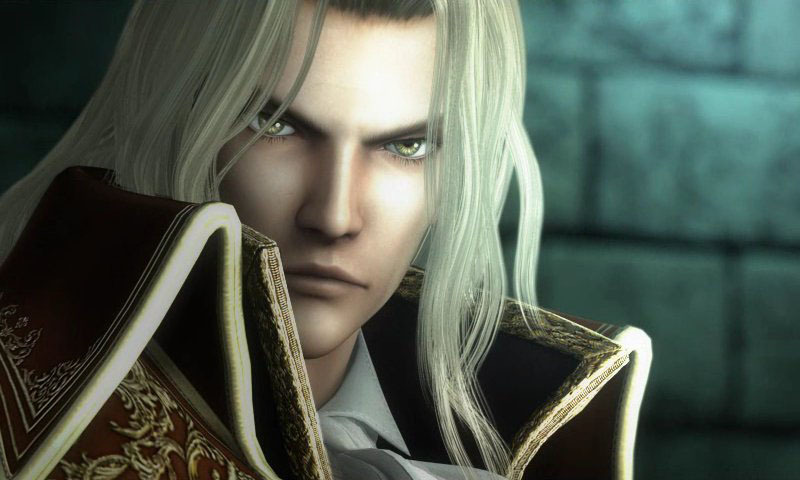 He returned at least as a part of the Castlevania series on Netflix in 2017. 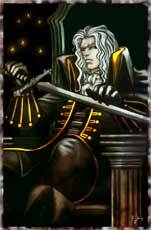 Last Game: Castlevania: Lords of Shadow 2 Birthplace: ? 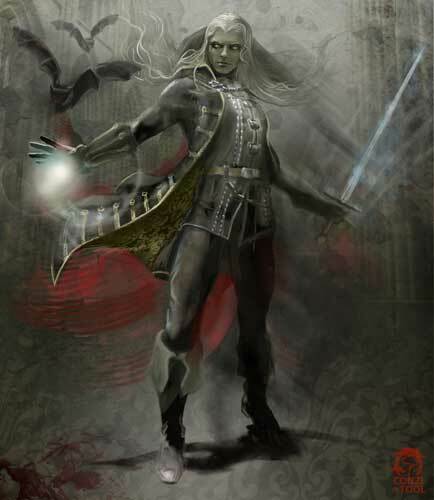 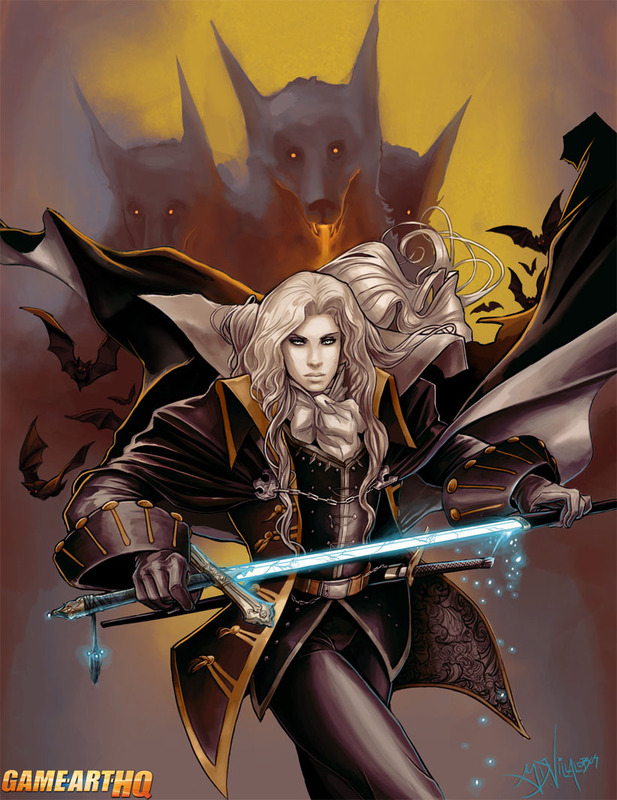 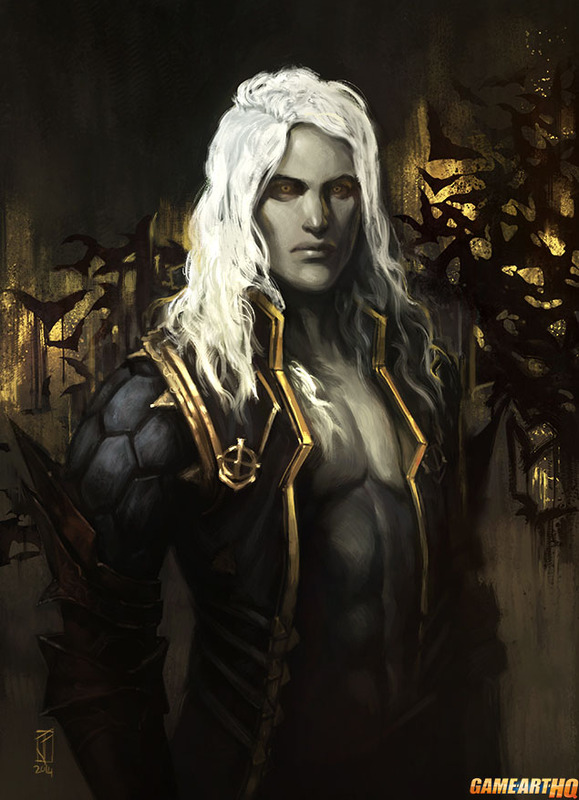 Alucard is a part of our Castlevania Series Art Tribute from 2013 and was drawn in his Castlevania: Lords of Shadow 2 look for it. 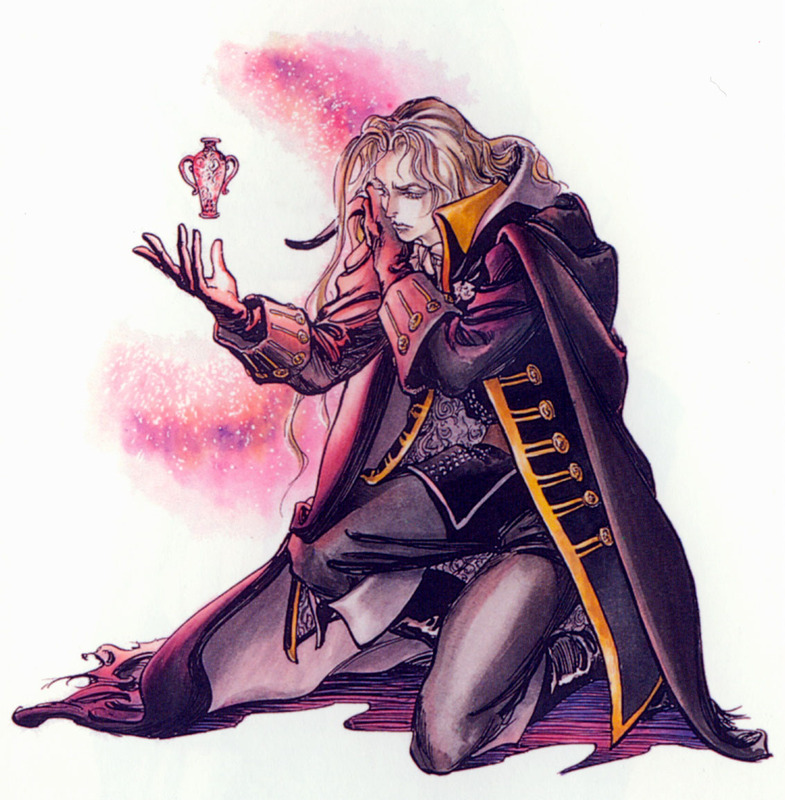 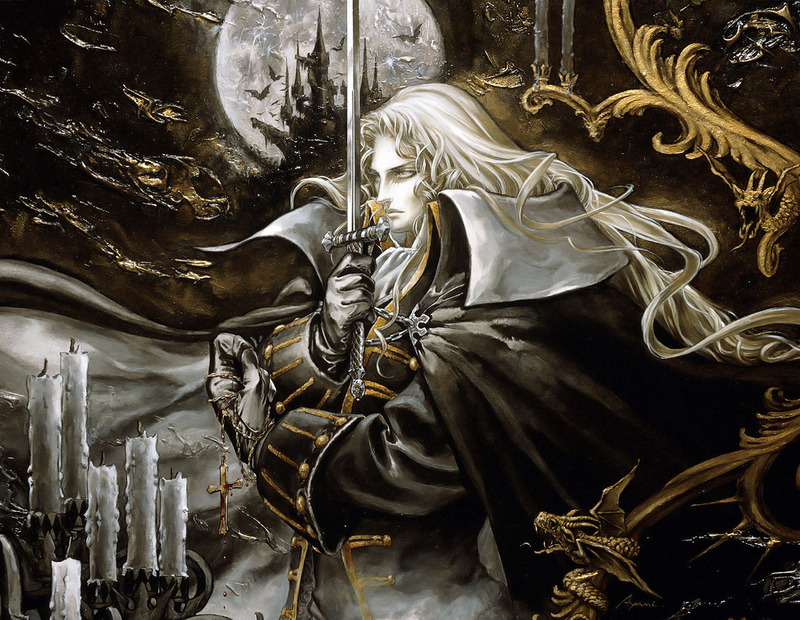 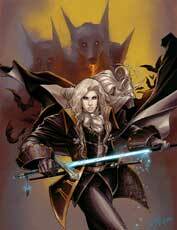 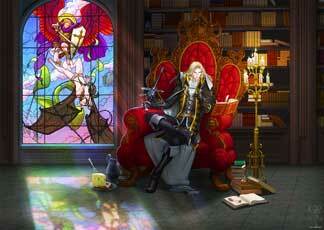 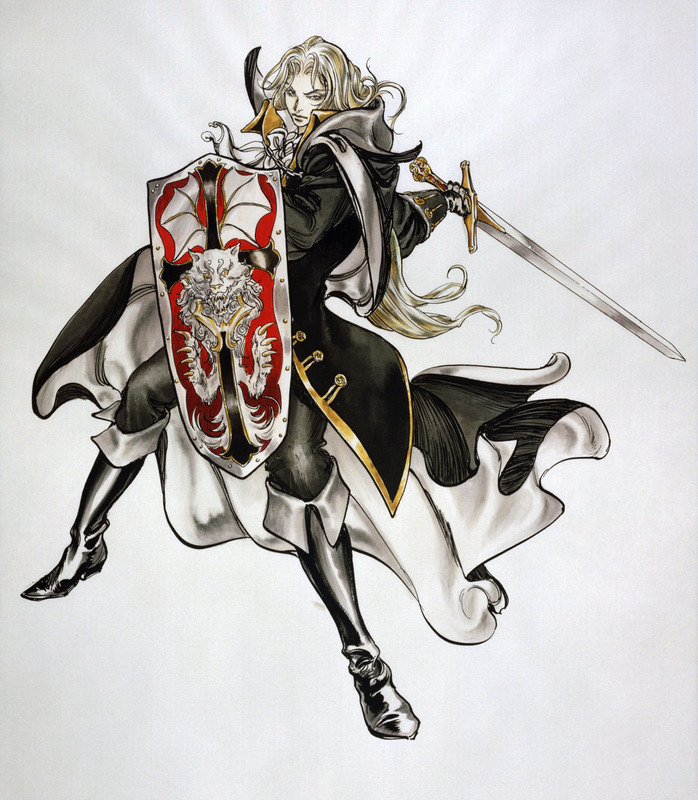 We might continue the Castlevania Tribute in 2015 which could include more artworks about Alucard of course.